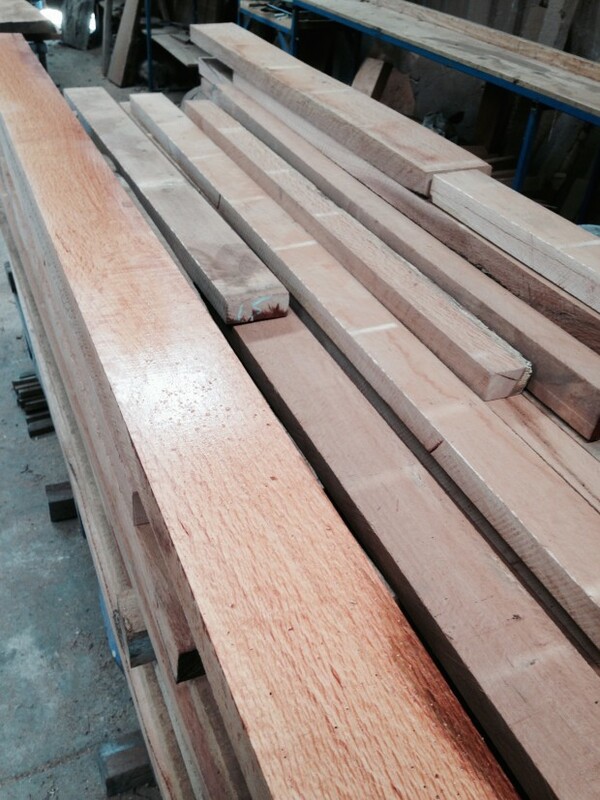 Normally boards are cut from 50 to 350mm wide and 19, 25, 32, 38, 45, 50mm thick. 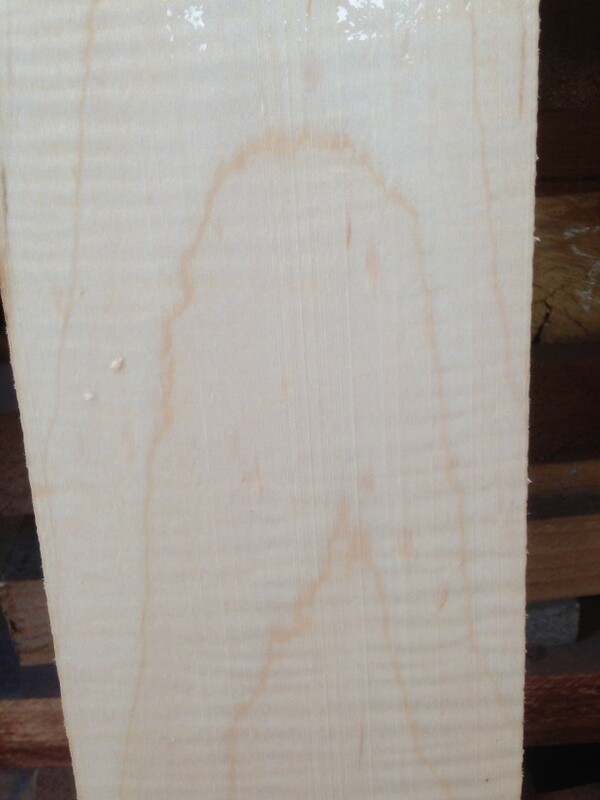 Each board is marked for length, tree identification and any special feature that it may contain. 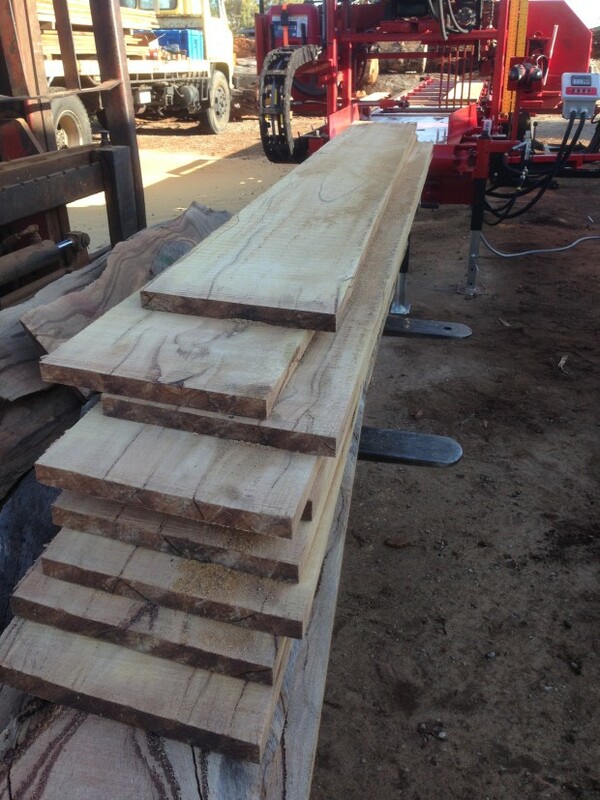 This allows us to try to supply all the timber for a given project from the same tree so that it matches. 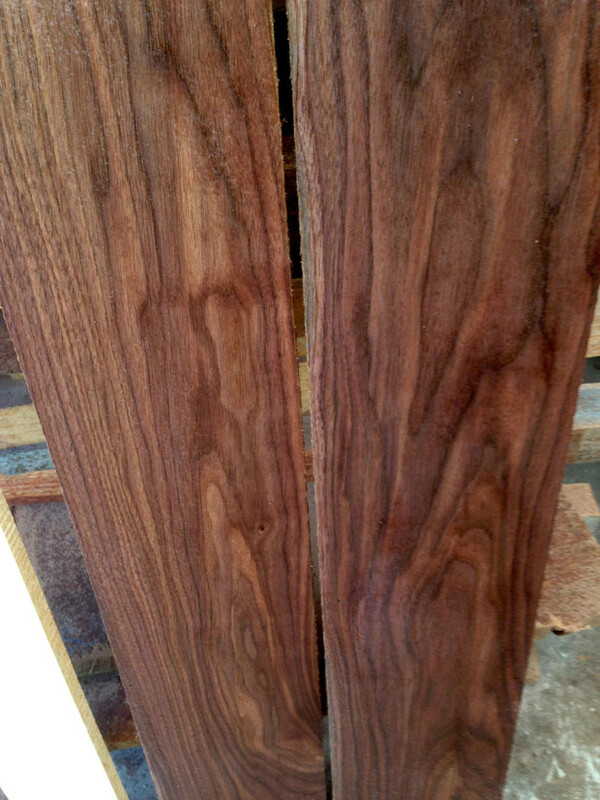 The boards listed below are indications that I normally hold these in stock. It does not imply that I will ALWAYS have them in stock. 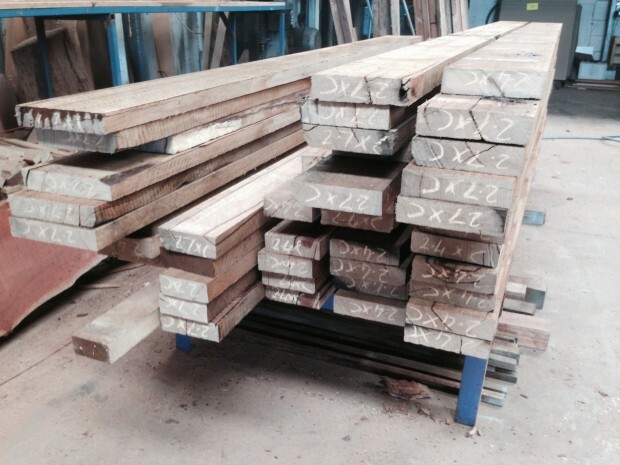 Some of the timber species that I usually have is stock are: Pine, Norfolk Island Pine, Jarrah, Marri, Blackbutt, Wandoo, Sheoak, Red Ironbark, Salmon Gum, Mallet, Banksia, Rock Maple, Tiger Maple, Ambrosia Maple, American Black Walnut, American Cherry, American Ash, American White Oak, American Red Oak, Spotted Gum, Rose Gum, Tuart, Sugar Gum, Tassie Blue Gum, Southern Mahogany, York Gum, Poplar, Kauri, Black Wattle, Cape Lilac, River Red Gum, Rock Oak, Swamp Oak, Karri Oak, Camphor Laurel, Raspberry Jam, and Paperbark. And sometimes I have other stuff. 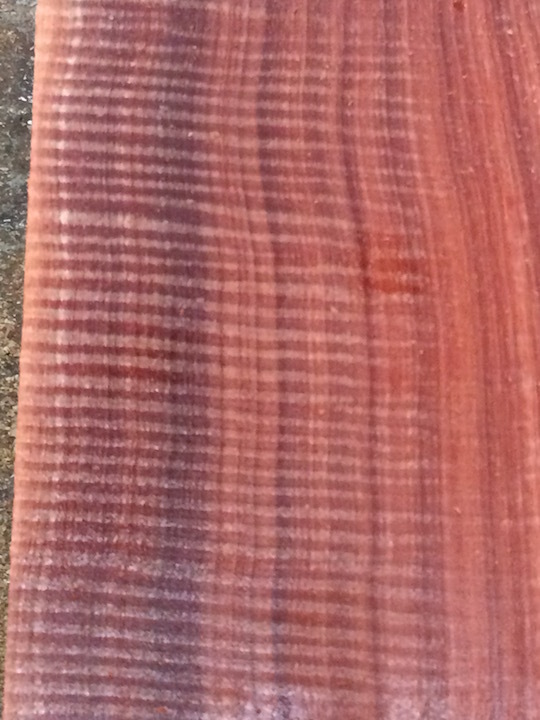 IMPORTANT NOTE: I consider no slab or boards sold until they are paid for. A verbal or email indication that you “are going to” purchase is nice to hear but it does mean that you have purchased it or that I will hold it for you. A written indication that you definitely want the product and are going to purchase it will mean that I will hold it for you for 24 HOURS to allow you time to deposit the money. After that period, if it has not been paid for, it will be for general sale again without me making any further notification to you. 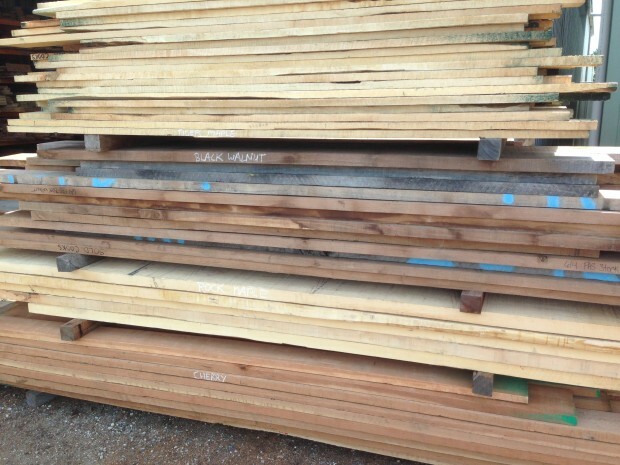 Unless alternative arrangements have been made boards, slabs or burls will be held for up to two weeks after purchase. After that time storage of $55 per week will be charged.